Lian Li shows off the PC-90, a new standard full-tower case with support for motherboards as large as HTPX. This aluminium chassis weighs just 6.6kg and promises an obstruction free air-flow inside the case. One of the special things about the PC-90 is the lack of HDD cages, the disks are mounted along the side panel. 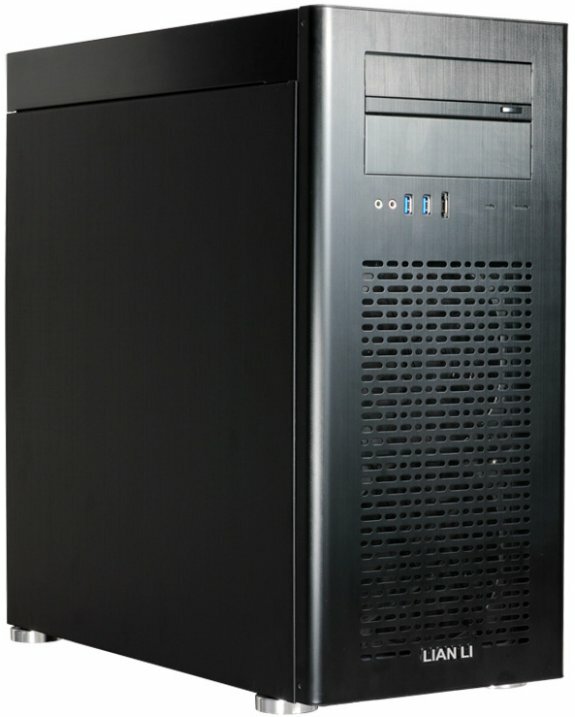 Lian Li Industrial Co. Ltd, maker of high-end, all-aluminum computer chassis for over 12 years, today introduced a full-tower chassis, the PC-90. Available in striking black or silver hairline-brushed, anodized metal casing, the PC-90, also known as 'The Hammer', represents the best of Made-in-Taiwan ingenuity and quality, with the ease of tool-less design. 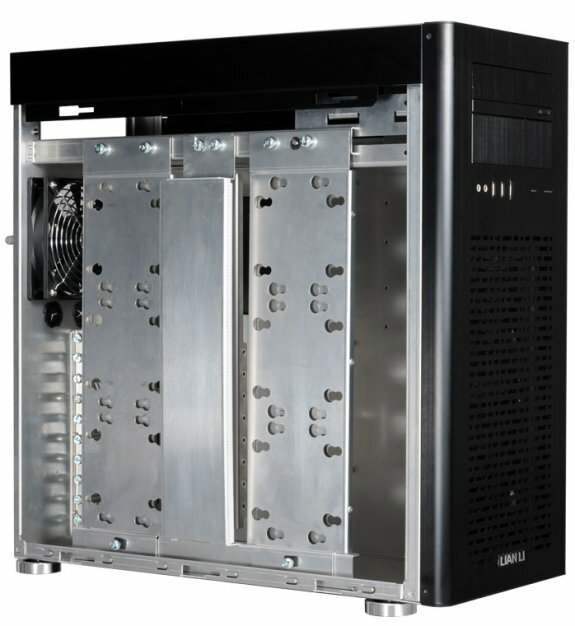 The Lian Li PC-90's unique internal layout allows large HPTX motherboards to be held in a standard, full-tower case with a weight of only 6.6kg. 'The Hammer' PC-90 is light and compact, and can easily fit under a desk like a standard PC chassis. This makes the chassis an excellent solution for systems/servers/workstations without needing a large, heavy steel case. Instead of standard HDD cages that obstruct internal air-flow, the PC-90's HDD drives are mounted vertically on two trays inside the left side panel. This way, the entire back of the case can be used to hold the motherboard, even enabling a larger HPTX or server motherboard to fit into the standard, full-tower chassis. The Lian Li PC-90 offers the advantage of two 140mm front fans blowing cool air directly and unrestricted over the motherboard and VGA card to the rear 120mm fan. Its sturdy HDD trays on the side of the case lock firmly into place in order to avoid vibration. Nonetheless, the trays can be easily removed via thumbscrew, allowing for easy installation of three 3.5” HDDs in the front and three more 2.5” drives on the back of the two trays, for a total of 12 HDD drives for the entire system. Thanks to the chassis design without HDD cages, 'The Hammer' supports video cards up to 400mm length and also offers a tool-less graphics card holder. To support modern motherboards and avoid having to use external connectors, the case is equipped with USB 3.0 for 20-pin connector. Rounding out the Lian Li PC-90's superior features are its cable organization system and liquid cooling holes. Washable air filters offer easy-to-remove, and recyclable, computer protection.